Waking up at 5am really worked for me this morning. I got to Fairfax at 8:15 am, expecting to avoid the long lines and empty shelves typical of pre-Passover. Apparently, so thought all the other conscientious Jewish hausfraus. First, I run into Melissa between the tomatoes and avocados in the vegetable store. We know each other from when our children were in elementary school. Her cart was already piled full with onions, carrots, celery, etc… each item meticulously checked off on the list in her hand. Seeing her reminds me of old times, a sweet, sad longing for when our children were young. We hug. I’m a little embarrassed because Melissa, as always, looks beautiful and put together, while I look like a schmata (rag) in an old sweatshirt and sweatpants. This is from Molly Goldberg’s cookbook. This is her friend Dora’s gefilte fish recipe (not Dora Levy Mossanen’s recipe). 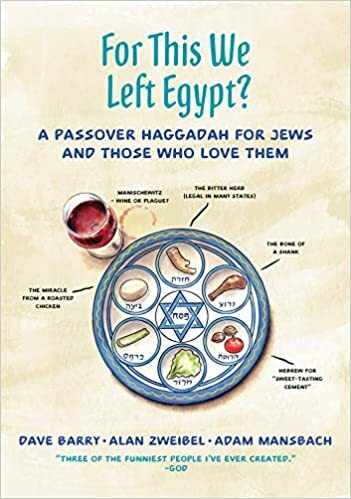 And what I discovered in publishing the Passover issue is that there are as many spellings of gefilte fish as there are of Al Quaeda. Decades ago, as a fledging (broke) New York stage actress, I had the good fortune to be befriended by the film producer Robert Chartoff (“Raging Bull,” “The Right Stuff,” “Rocky’s I—VI”). We met on the basis of our identical surnames, but traced our ancestry back to different origins. It seemed our names were accidentally namesake bastardizations of different, multi-syllabic and multi-Slavic monikers of yore, carelessly abbreviated by uncreative Ellis Island officiates. He would not hear of it. I was "being an alarmist", as always, he will join us "in a few weeks", a couple of months at most. Now, in hindsight, I realize that we were blinded by a certain naiveté and senseless hope that is common with having lived in comfort—this could not be the end of Mohammad Reza Pahlavi who had, with enormous pomp, crowned himself King of Kings in 1967. We were wrong of course. Once we landed in LAX, I learned that the Air France Plane that carried me and my daughters, age two and ten, to safety was the last allowed out of Iran before Mehrabad Airport was shut down by the Islamic Revolutionaries. It would take another three years before my husband would be allowed to leave the country. As a secular Jew married to a Catholic, I guess you could say that religion for me has always been a spectator sport. I do know that Easter is upon us, so my catholic friends (yes, I mean those who embrace all things) celebrate the resurrection of Jesus Christ with a holiday, whose name is derived from the name of a goddess associated with spring, hence all the chocolate fertility symbols (a patriarchal holiday with something for everyone). And this Christian holiday normally coincides with Passover because the Last Supper was a Passover meal, and we all know how that went. Passover: What's a Shiksa to Do? My husband is Jewish, my stepchildren are Jewish, even my son is Jewish. And yet, I, myself, am merely Jew-ish, which is to say that I go to temple with my family, participate in our Jewish life, but have yet to officially convert. Why? I don’t know exactly. I believe that it’s either in your heart or it isn’t, and it is in mine, and no amount of mikvehs will make it more so. I hate matzoh. There, I've said it. I may be Jewish but matzoh sure feels like penance to me. It was bad enough my ancestors had to wander through the desert for forty years, but adding insult to injury, they had to eat crumbly crackers with all the flavor of cardboard. I know there are some people who claim to love eating matzoh, but frankly, I don't buy it. Sure, slathered with butter and liberally sprinkled with kosher salt or cinnamon sugar improves the taste of matzoh, but that treatment would work on just about any kind of tasteless cracker or bread. Don't try to sell me on flavored matzoh. Flavored matzoh tastes artificial. Whole wheat matzoh has to be the worst. I've never heard anyone even claim to like it. It's what I imagine must be served in jails or orphanages. There were valiant attempts at fasting for Yom Kippur and signing off bread for Passover observance; the yeast in Natty Lite beer didn’t count, right? But, nothing was quite like my senior year Seder spectacular.